I’m on vacation for the next 10 days! So I’ve invited some amazingly talented bloggers to guest post and keep you entertained while I’m gone. First up is the sweet Carrian from Sweet Basil. She’s a fellow Utah food blogger and I’m fortunate to call her my friend. 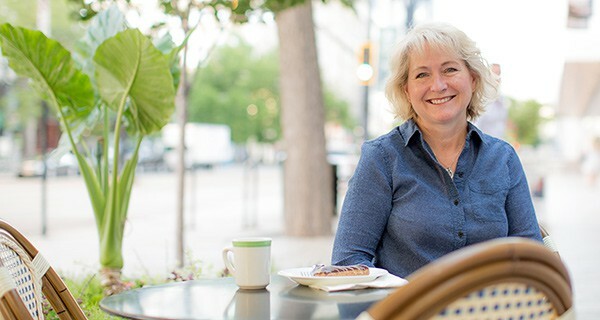 On Sweet Basil she focuses on reinventing the family dinner, eating healthier, with a few luscious treats sprinkled here and there. Ok, now this may look pretty ordinary to you, but those strawberries carry quite the secret. They are sitting in a sweet balsamic syrup that is completely out of this world. 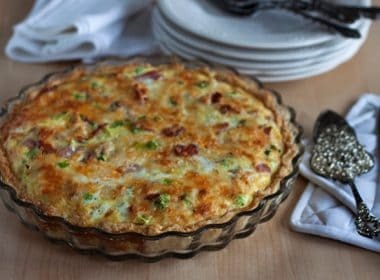 Plus it’s all on puff pastry and you just plain cannot go wrong with that. As you can also tell, the puff pastry is a little bit different. 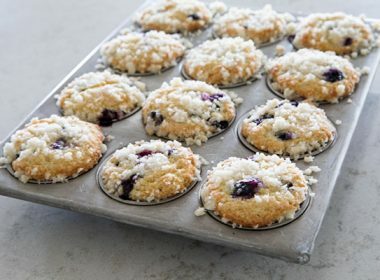 We “docked” or poked holes all over the pastry and then baked them on a cookie sheet with an extra pan on top to keep them from rising. This is meant to be a strawberry sandwich and we definitely wanted it to look like just that. And I’ll tell you what, having the puff pastry all condensed actually helps you to enjoy the flavor and texture all the more. MMMMMM, flaky, buttery goodness. I have such a thing for strawberries. I’ve always loved them and nothing has changed even though I am getting older. Kind of like my love for these lemon strawberry shortcakes, strawberry cucumber salad, and of course these chocolate pancakes with strawberry syrup. Growing up we always had a strawberry patch and raspberry bushes and I think the love of both of those things will last with me forever. 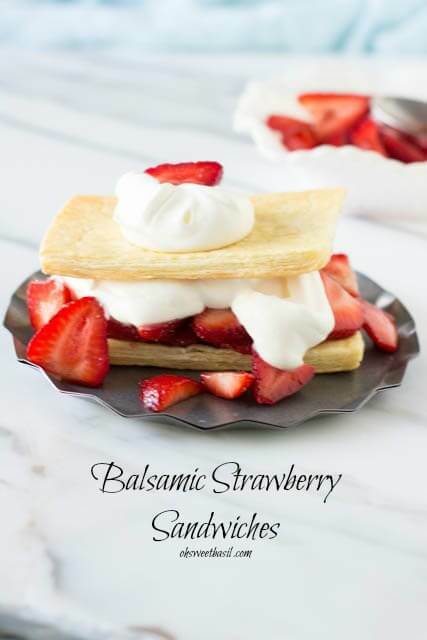 These balsamic strawberry sandwiches are just another addiction waiting to happen. And it’s a good addiction so I give you full permission to devour these babies every weekend all summer long (I mean, let’s not get crazy here. No one needs these any less than that right?). Anyway, the strawberries are tossed with balsamic vinegar, sugar and left to soak in all the goodness for a few minutes. 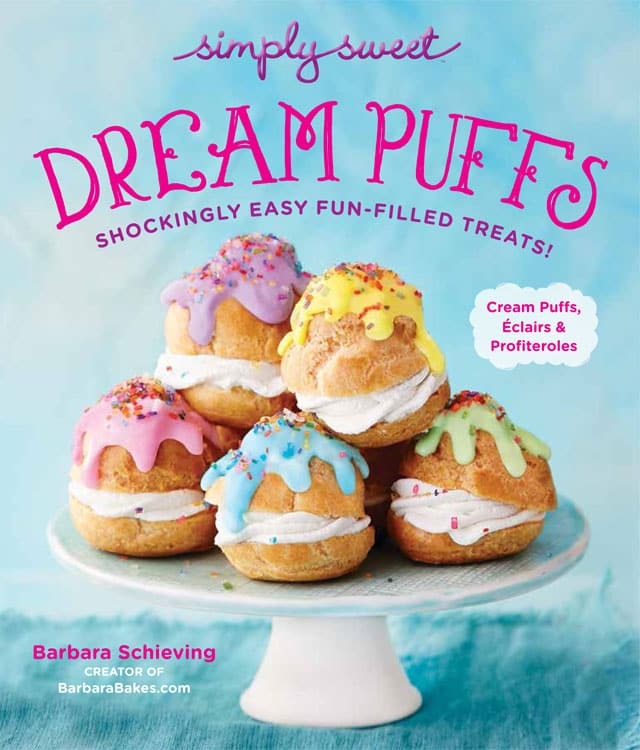 Then pile them high atop a butter puff pastry, and add a few dolops of fresh whipped cream, (oh man, I’m drooling all over!) and you’ve got yourself the best sandwich in all the land. Enjoy and please stop by to say hello!! Slice the puff pastry into 6 rectangles. 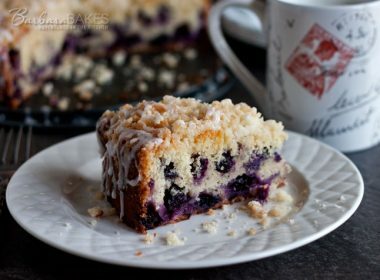 Using a fork, poke holes all over the pastry dough. Line up on a baking sheet and place another piece of parchment paper on top. Place a second baking sheet on top of the pastry dough and bake for 23 minutes. Remove and allow to cool. Meanwhile, slice the strawberries into a bowl, add the vinegar and sugar and stir to combine. Set aside. Using a hand mixer or whisk, whisk the cream until peaks are beginning to form, add the powdered sugar and beat for another second or two until it's sweetened the cream and peaks hang down when you lift the beaters. 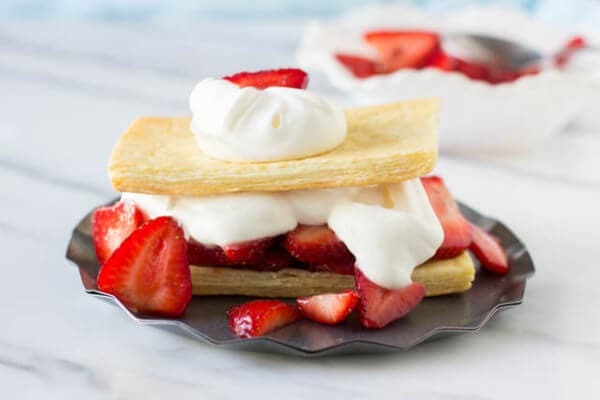 To assemble, place strawberries on one pastry sheet, top with whipped cream, another pastry sheet and a little extra cream on top. Enjoy! Thanks Carrian! I can’t wait to give this a try as soon as I’m back in town. 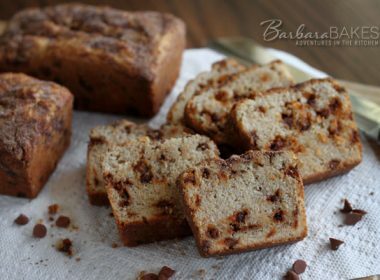 For more great recipes be sure and visit Sweet Basil. I recently got to eat her Strawberry Cucumber Salad and it’s fantastic. Definitely go check it out. what a fabulous treat! I could eat this pretty much every night! Nice pics! Hi Carrian, and I want you to know that’s the kind of sandwich I could learn to love! 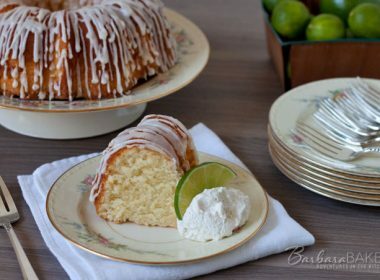 What a heavenly summer dessert! This looks beautiful and sounds wonderful. I love balsamic with strawberries and I just made a strawberry balsamic ice cream that would be great on top of this. Great guest post. Isn’t it just heavenly together? And to think I didn’t know about balsamic for so long! Gorgeous sandwiches. Those berries look incredible! I would jump for joy if I had something like this in the morning! What a treat! 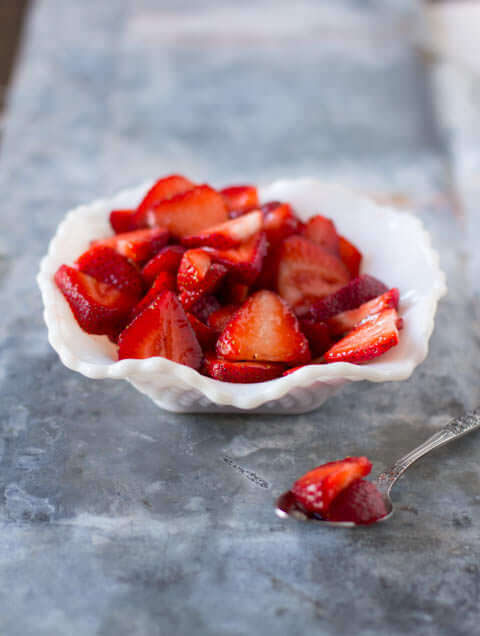 I love the idea of strawberries and balsamic – brilliant! Heavenly! That is such a wonderful dessert.